With Around Bulgaria, you can book a transfer from any airport in Bulgaria in under 25 minutes. Whether you book in advance or right when you exit the luggage claim area, we’ll be there to meet you at the time you’ve chosen. We track your flight – and don’t charge you if yours is delayed! All of our vehicles are spacious minivans or sedans with air conditioning. Vehicles for up to 8 passengers are available and we can even arrange single transporters for larger groups if you really want to travel together. If you require safety child seats or you need us to carry any ski equipment, it won’t be a problem. But do let us know in advance! Please do check our reviews on TripAdvisor and Facebook. Check out our most recent prices below. 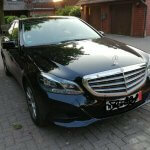 You can book our chauffeur service, full-day and multi-day tours as well as your airport transfer. Simply send us your requirements. 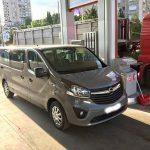 Bucharest, Thessaloniki, Istanbul, Belgrade and Skopje are all popular destinations and pick-up points for our airport transfer service (though in this case we do ask for a small deposit). Check the prices below or just send us your requirements to receive a price quote. After you place a booking, you receive a price estimate. After you agree to the price and our T&C, you’ll get confirmation with your pick-up info and driver’s details. Your driver will be waiting for you at the airport arrivals terminal, holding a sign with your name on it. Or they’ll meet you at your hotel reception or the address you’ve chosen. Your driver will help you carry and load your luggage into the vehicle and take you to your desired destination. If you choose cash payment, you can pay when you get dropped off. If you choose bank transfer, card or PayPal payment, you’ll have received a link to our online payment portal in advance. Your driver will help you unload your luggage. Start enjoying your stay or relaxing into your seat for your flight!